During World War II, Hitler and his Nazi minions systematically sought great works of art from the territories they invaded. They went after paintings, sculptures, religious relics, Torah scrolls, church bells, libraries, musical instruments, stained glass, and cultural artifacts. Some of the pilfered pieces were added to Nazis’ personal collections; some were headed to a planned Führer Museum; many were carelessly treated or even destroyed. This was the story behind the movie The Monuments Men, which depicted the Allies’ unit of curators and scholars tasked with recovering the plunder—which they did, rather successfully. Western civilization was deeply grateful. 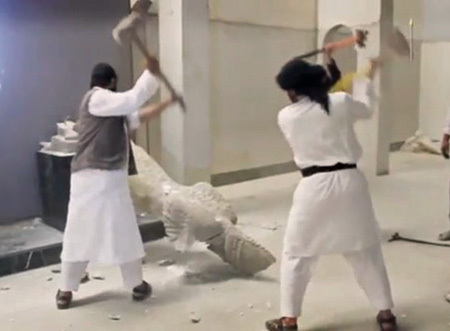 More recently, ISIS has been on a rampage against art and artifacts. Many of them are religious in nature and therefore a contradiction to the worldview of ISIS members. As opposed to the Nazis, the goal isn’t theft; it’s destruction. They are destroying ancient idols that no one is worshiping, shrines that pose no threat, and art that makes no political statement at all. And their destruction certainly isn’t confined to Christian and Jewish targets; it’s aimed even more widely at Shi’ite and Sunni sites that don’t reflect their ideology. This is sad, but it isn’t unusual. The Soviets destroyed archaeological sites in Afghanistan; the Taliban destroyed Buddhist sites in Afghanistan; Christian conquerors trampled on local cultures during imperial expansion; Hindus destroyed Buddhist images and buildings sixth-century India; and on and on the examples could go. Evil, in many different clothes, has a tendency to attack art. Why? I can think of several reasons, not the least of which is that in a culture war, it kind of makes sense to go after the best expressions of the enemy’s culture. One of the most effective ways to sabotage a culture’s future is to wipe out its past. But there’s a deeper, more significant reason evil attacks true artistic expression, and it goes to the core of our identity. The Creator created us in his own image, which means we are creators at heart. Evil is not only opposed to all that is good, it is fundamentally opposed to God, from whom all goodness flows. So how do you oppose the Creator? You oppose the creators who reflect him. Unfortunately, though Christians ought to understand the significance of artistry more than anyone else, many strains of our faith have marginalized creativity. We say God is the author of truth, love, and beauty, but we tend to focus almost exclusively on the first two in drawing people to him, and hardly ever on the third. I’m all for truth and love, of course. I’d simply suggest that beauty is just as compelling. My point is that we often forget that we are made in the image of a Creator, that he has clearly demonstrated keen interest in creating beauty, and that we honor him by reflecting his creativity. Evil has not forgotten that, and it rages against creation and creativity in manifold ways. We saw its attack on beauty, history, and expression in World War II, and we see it in the Middle East today. Our response? It’s a sacred duty to preserve beauty wherever we can, to reflect it whenever we can, and to honor it with our own creativity however we can. That may not seem like a powerful way to counter evil, but it is. Whenever we reflect the creativity of God, we honor him. And that’s not only an affront to evil; it’s a victory over it. 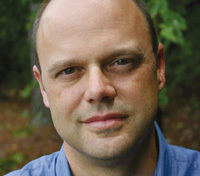 Click to tweet: One of the most effective ways to sabotage a culture’s future is to wipe out its past. Click to tweet: Whenever we reflect the creativity of God, we honor him. LeAnne Benfield Martin: In Creative Prayer, you write that many of us have an unbalanced relationship with God when it comes to how we communicate with Him. What do you mean by that? Chris: If we think about all the ways God has communicated with us, and then compare that to the ways we communicate with him, it looks pretty lopsided. Not that we can ever match his style, of course, but we can certainly do more than just talk to him at a set time each day. I look at it like a couple in love, where the guy expresses himself every way he knows how—music, poetry, meals, flowers, dances, etc.—and the girl just leaves a message on his voicemail every once in a while. That’s the kind of imbalance I see in our relationship with God, and I think we’re missing out on a lot. LM: You mention that the purpose of your book is to discuss creative expression to God. What is creative prayer? 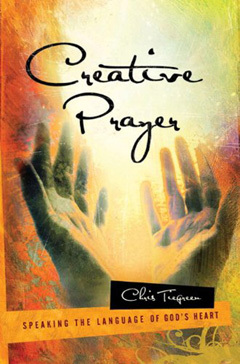 CT: Creative prayer is praying with our whole being—using all the gifts God has given us to express ourselves. We can draw or paint our prayers, act them out, dance them, sing them, dress to match the mood of our petitions, and much, much more. The possibilities are limitless. We see some very tangible communication with God in the Bible: sights, smells, sounds, movements, etc., through the sacrificial system, the psalms, the lives of the prophets, and in Jesus’ ministry. God’s language seems to be primarily visual, but it covers the whole range of our senses and beyond. That’s an invitation to speak back to Him in a variety of creative ways. We come into the kingdom through a very narrow gate—Jesus alone—but once inside the gate, the pasture is enormous. God encourages us to get outside the box in our communication with him. We’re never to violate His character or his will, but the means of communication in Scripture is never formulized or even specified. There’s shouting, dancing, instruments, sackcloth, incense, blood, bread, weeping, rejoicing, and on and on. God made us individually for a reason: to express ourselves individually. LM: You write in Creative Prayer that sometimes words are not needed when we pray. Explain what you mean by artistic prayer and give us some examples of how we can pray this way. CT: A picture is worth a thousand words, right? So why do we fumble around with a thousand words when we pray? There’s nothing wrong with verbalizing our requests, of course, but why stop there? I think sometimes we tend to explain to God every detail of our prayers, when really we could say, “Lord, you see this picture in my mind? That’s my prayer.” And it’s even better to draw it, write it, sing it, dance it, act it out, or whatever. When we do that, we won’t be able to pray detached prayers, and we’re not likely to forget them the next day. The more senses are involved, the more engaged we are with God and the more we’ll remember our prayers and his answers. Some people are reluctant to do this because they don’t think they’re creative or talented, so they think their prayers will be insufficient. But the truth is that our words are also insufficient. Paul made that clear (Romans 8:26). Our creative prayers are like a three-year-old bringing mommy a drawing, and she can’t even make out what it is. Does she reject the art? No, she sees the heart behind it and she loves it. I think that’s how it is with God. LM: What are some ways we can communicate more creatively with God through our senses and circumstances? • Write your mistakes/sins/trials/obstacles in the sand and watch the waves wash them away, asking God to give you a fresh start. • Eat an ethnic dish to tangibly identify with a certain nation, as though it’s becoming part of you. (You are what you eat, right?) Then pray for that country not as an outsider but as its representative. 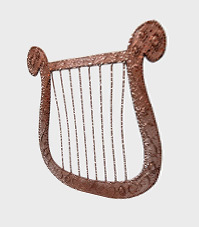 • With whatever instrument you have, play a melody that reflects your current situation. Then play one that reflects what the situation would look like if God intervened. That tune, along with its transition, becomes your prayer. • Draw a picture of your heart and write all your ugliest attitudes on it. Then erase them and ask God to do the same. Or better yet, throw the whole drawing in your fireplace and ask God to refine and purify you with the flame of his Spirit. • Act out one of your prayers. You may look like a bad mime, but that’s okay. God won’t mind at all—he’ll love it. There aren't many people in the world who think, "I'm as creative as a person can get. I don't need any more creativity at all!" But there are plenty who think either you are or you aren't, and nothing can change that—as if creativity is as predetermined as height, shoe size, and hair color. Okay, bad example. Actually creativity is as changeable as hair color. And there are some things you can do to increase it. 1. Ask. If God is the ultimate Creator, and we’re connected to him by faith, then isn’t he the best source of creativity? Don’t all good and true ideas flow from him? George Washington Carver began each day with an earnest prayer that God would reveal to him the secrets of the peanut, as well as many other plants. He wanted to put more food in the bellies of the hungry. God answered by showing him more than 300 uses of the peanut and more than 100 of soybeans, sweet potatoes, and other crops. Now that’s creative. 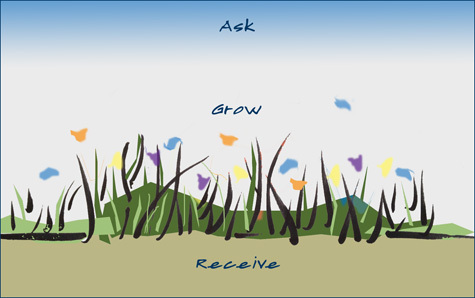 If you want a fertile field of ideas, ask the source and expect answers. 2. Have intentional downtime. No one can be creative in a relentlessly high-speed lifestyle. You have to reflect. People who are productivity-minded tend to see downtime as a distraction or a waste. And it can be if it prompts one of those purely vegetative states—like watching SpongeBob or The Bachelor. But not all downtime is created equal, as these great habits demonstrate. Work actually becomes more productive if you take time away from it to let your mind flow in directions it doesn’t normally flow. Great ideas usually come from outside your typical thought patterns, not from within them. Otherwise, you would have had them before. So get out of the normal patterns. 3. Cultivate the habit. Creativity is a habit? Yes—or at least the conditions for creativity are. If you spend time in “creative mode,” it becomes more habitual, and therefore more natural. It also helps to view/read/enjoy the works of other creative people too, not to copy them but to be inspired by them. Their works can trigger your inner genius. Remember that creativity comes from being made in the image of a Creator. “I’m not very creative” isn’t an appropriate statement for an image-bearer. Neither is “I don’t have time for that.” Regardless of whether you’ve developed it or expressed it in the past, it’s in there somewhere. And if you ask for it, receive it, and give it room to grow, it will deepen your sense of connection with the one who gave it to you. Click to tweet: No one can be creative in a relentlessly high-speed lifestyle. Click to tweet: Great ideas come from outside your typical thought patterns, not from within them. So get out of the normal patterns. Click to tweet: “I’m not very creative” isn’t an appropriate statement for someone made in God’s image. I noticed a strange phenomenon when I was growing up. Most of the world insisted on excellence; that’s how you succeeded in life. But the church was content with mediocrity. Individual Christians weren’t necessarily content with mediocrity, of course; in their particular jobs, they could be just as outstanding as their peers. But in a grace-filled church arena—in ministry, music, literature, and the pursuit of understanding—there seemed to be an unwritten rule that whatever we do in the name of the Lord is good enough, even when it isn’t our best. Frank Schaeffer, back when he was still “Franky” and not so abrasively opposed to evangelical culture, wrote a book about this called Addicted to Mediocrity. It was a little strident, but I still found it to be mostly true. For much of my life—less so now than earlier—the evangelical community has been content with mediocre music, films, literature, art, and other outward expressions of faith and truth. We’ve produced some outstanding works, to be sure, but they have largely been exceptions. We are not known for cutting-edge creativity. Why is this so? Perhaps it’s because we have a generous attitude toward good efforts and are reluctant to come off as critical. That’s understandable; we should applaud everyone’s best attempts and demonstrate love in everything. We know the church as a place of grace where we don't have to perform to be accepted or loved by God or others. That should undo our desire to excel for approval. But it shouldn't undo our desire to excel. Living in a grace-based culture still doesn’t explain why, out of all our best attempts, there aren’t more masterpieces. It isn’t that Christians are less talented or less intelligent (although some critics would argue otherwise); I’ve known brilliant and creative believers in a wide variety of fields. It’s that Christian audiences are not particularly demanding—a characteristic that has some benefits but also a huge drawback. We don’t cultivate excellence. She’s right. We’re so focused on being biblical (that’s good) that we often ignore the need for excellence (that’s bad). It has gotten much better over the last decade or so, but we still have plenty of room to grow. As people who are called to offer the best of what we have to God, we do ourselves no favors when we offer half-hearted efforts that could have been much better. The Christian community should be known for setting trends in music, not following them. We should be known for writing the world’s best storylines, not mimicking other works and Christianizing the characters to make it a “Christian” work. We should have a reputation for brilliant works of art that cause people to suspect that our creativity comes from a wildly creative Spirit. I’m not saying we don’t already have outstanding works. We just aren’t known for them (although there have been times in history when we were). And I’m not saying amateurs among us shouldn’t publish or display their best efforts. We should. But the drive for excellence should push us farther than we’ve gone before. After all, we serve a King who is worthy of the highest forms of offering we can give him. Click to tweet: We should have a reputation for brilliant works that have their origin in a wildly creative Spirit. Click to tweet: We serve a King who is worthy of the highest forms of offering we can give him.